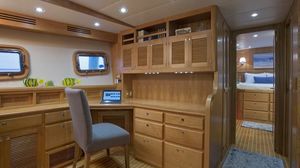 First and foremost, the Krogen 58' EB (Extended Bridge) is a home away from home, even a primary home, as the case could be. 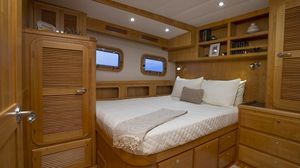 Every comfort has been provided. 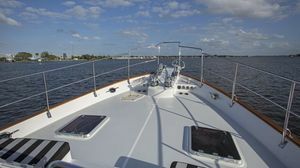 There's never the need to leave the nest to travel - you just take it with you, practically anywhere in the world you can find a fathom (or less) of water. 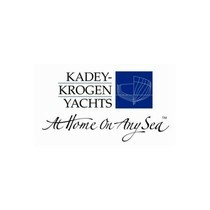 Recognizing that many customers enjoy an open-air experience while underway or at anchor, the extended flybridge, available in multiple configurations, marks an exciting new chapter for the popular and time-tested Krogen 58' model. 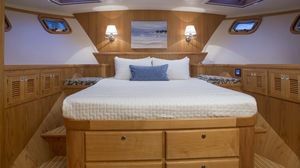 The carefully designed differences built into the new Krogen 58' EB are found in the details and increased "liveability" of the vessel. 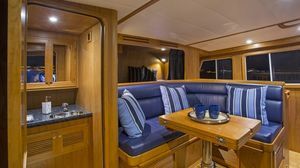 Already designed with a larger than most covered aft deck for dining and socializing, the increased outdoor space on top now places the Krogen 58' EB in an entertaining class of her own. 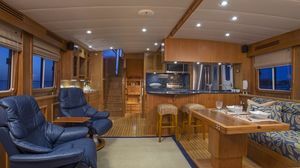 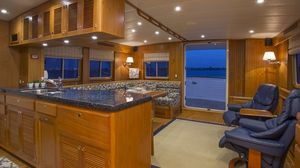 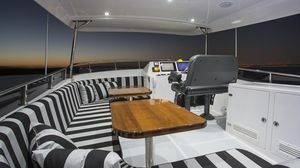 The 58' EB is as perfectly suited for those new to the cruising world as it is for "old salts". 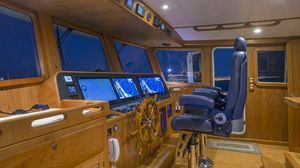 She's solid and sure in the open ocean, with systems chosen for their reliability and simplicity of operation. 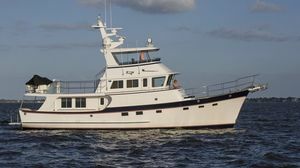 The Krogen 58' EB could just as capably take you from Annapolis to Athens, as from Nantucket to Newport. 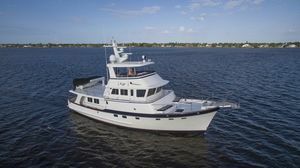 Whatever the destination, this capable trawler yachts is ready to go and is truly, at home on any sea.